George thinks of the Franklin & South Manchester as a fantasy world of model railroading. He doesn’t try to capture the exact look of equipment or buildings, but goes for the overall effect with an exaggerated emphasis on detailing. 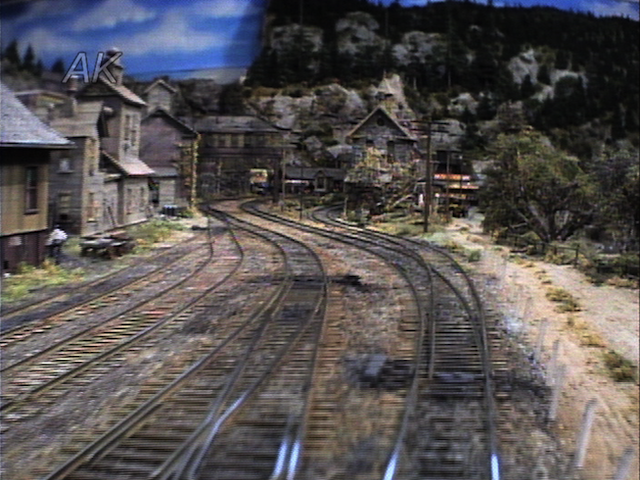 Model railroading is George’s main creative outlet for expressing his artistic genius. He has a marvelous eye for color, texture and form. 176 minutes. The Franklin & South Manchester, one of the greatest model railroads ever built, is the creation of professional model builder George Sellios. Because of George’s talents you’ll see something new each time you watch this fabulous program. You’ll tour the layout behind a Mogul powered passenger and a Mountain powered freight, from one end of the 22 x 7 foot layout to the other. Although the F&SM is HO scale, George Sellios, the owner of Fine Scale Miniatures, has created a railroad that exists as surely as Chicago or New York did in the 1930s. 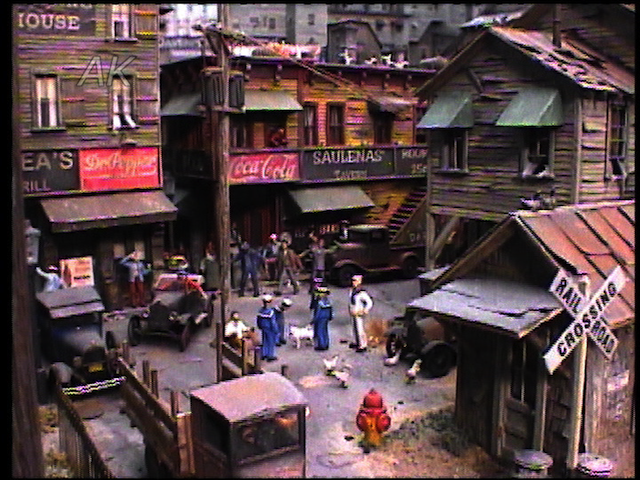 This is Part 2 of George Sellios’ fabulous Franklin & South Manchester, one of the most famous model railroads in the world! In part one we covered the large urban buildings in the city of Manchester. 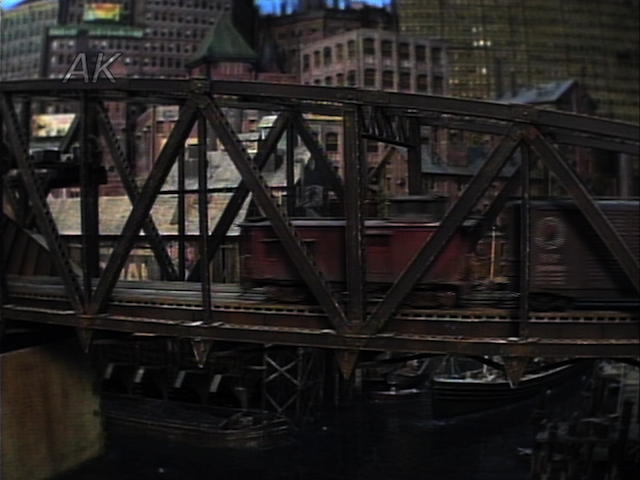 This show covers the new areas of Dovertown and Bedford Falls. Dovertown is similar to Manchester with massive buildings, but Bedford Falls is a small town with 2 or 3 story wooden buildings. 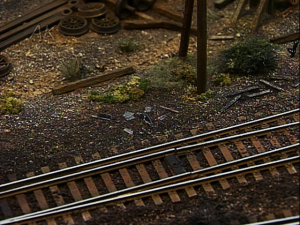 George and friends offer clinics on detailing yards, weathering rolling stock, and modifying Finescale kits. 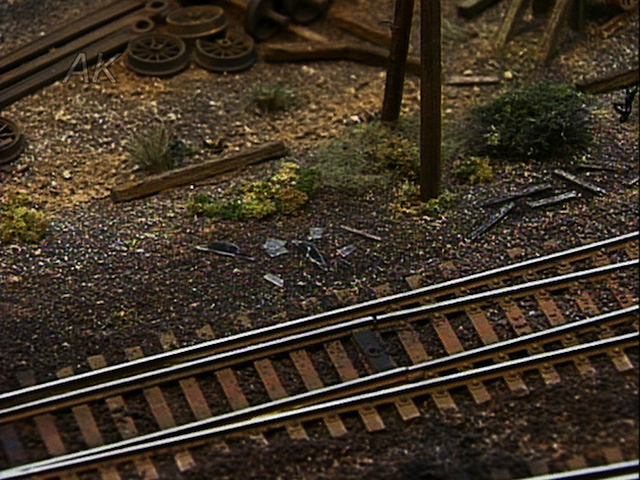 George has created the F&SM as a fantasy world of model railroading with an exaggerated emphasis on detailing. Our first two visits (Great Model Railroads, Vol. 2 and 24) concentrated on the original city of Manchester and the newer cities of Dovertown and Bedford Falls. In this installment we devote the majority of the video to the new areas of Franklin, Belverton, Chesterville and Beaver Meadow. You’ll see enough of the earlier towns to give you a feel for them, but the new scenes are so different from the old that they cry out for your attention. George is now doing smaller wood buildings in contrast to the earlier large brick canyons of Manchester and Dovertown. He has even created a logging operation in the wilderness section of the new area, and the whole layout has been greened out with lots of trees!